Bottle your hot or cold drinks on the go. 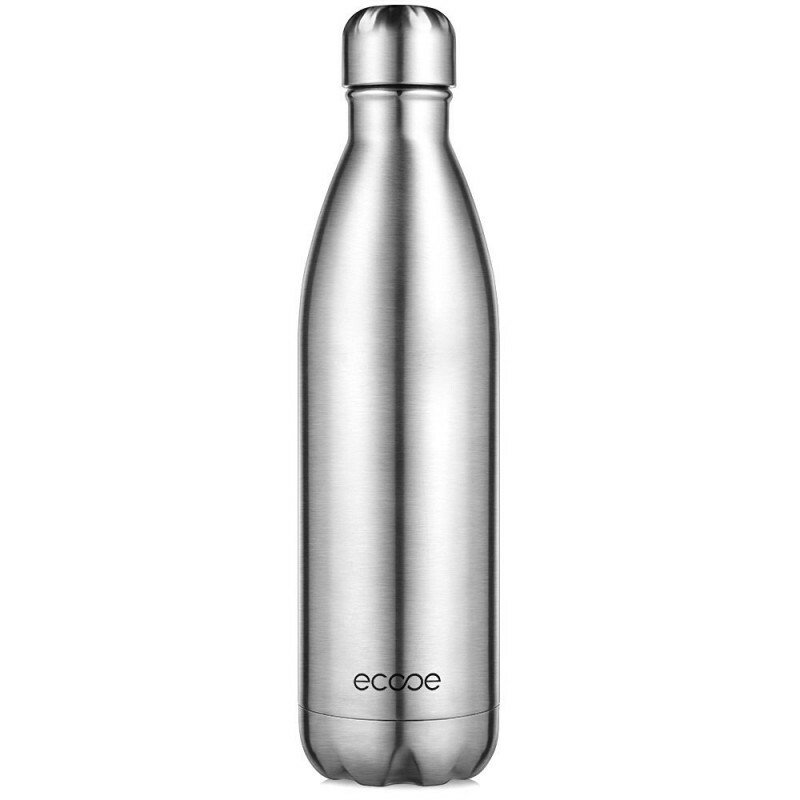 Made of premium 304 stainless steel, the insulated water bottle is tough enough against bumps. Rust-proof interior and surface ensure the bottle a fresh look and a long time of use. 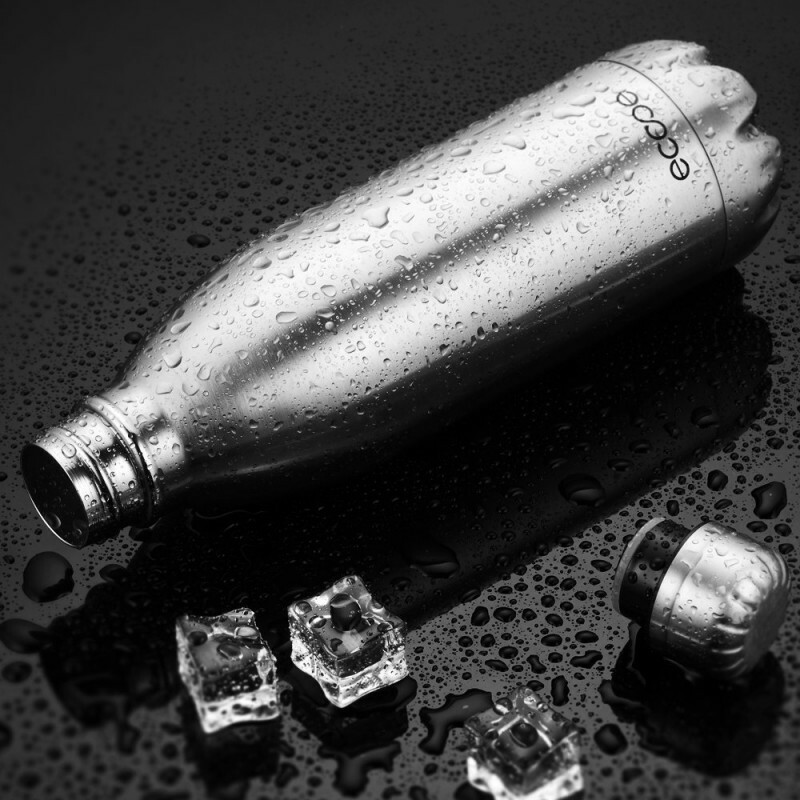 Double-wall insulated, the water bottle never sweats when filled with cold water. 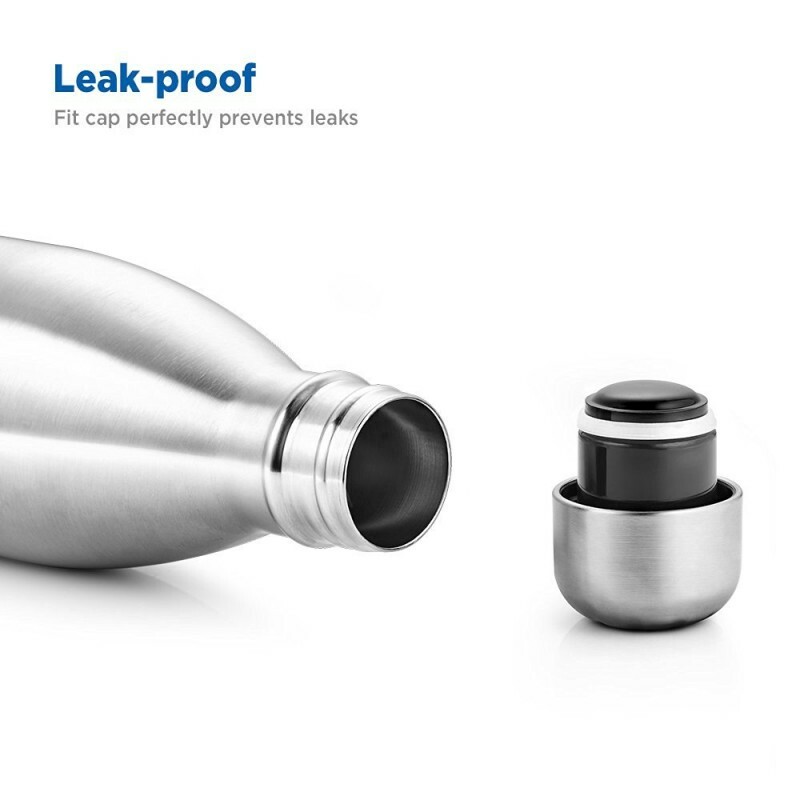 Threaded and airtight-seal cap keeps your water inside the bottle securely. Ideal for outdoor activities. Double walled, vacuum insulated and airtight seal cap, the water bottle provide long-lasting insulation for both hot and cold. Be surprised by the temperature when you are ready to enjoy it. Excellent bottle. Seals perfectly. Almost fits in Lexus cup holder...almost. These keep your contents at temperature for a very long time..longer than anything I have ever seen! A fantastic bottle, keeps ice for 24+ hours even when it's opened multiple times. Can't wait to try it out in the Florida summer! Update: carry this bottle with me everywhere, filled with water from a refrigerated tap. Water stays COLD for over a day, and is still crisp for up to 3 days. It's very durable too, I've dropped it multiple times and it has only the slightest scuffs on the cap. Great bottle, keeps my water cold in the hot Florida Summer. I use it for water! Keeps ice for 24 hours!! Love it! so far its been working out well..
Love this water bottle. Does a great job at keeping water colder longer. Its the summer and I am caught between two things, my love for tea and the need to stay hydrated in the summer heat. 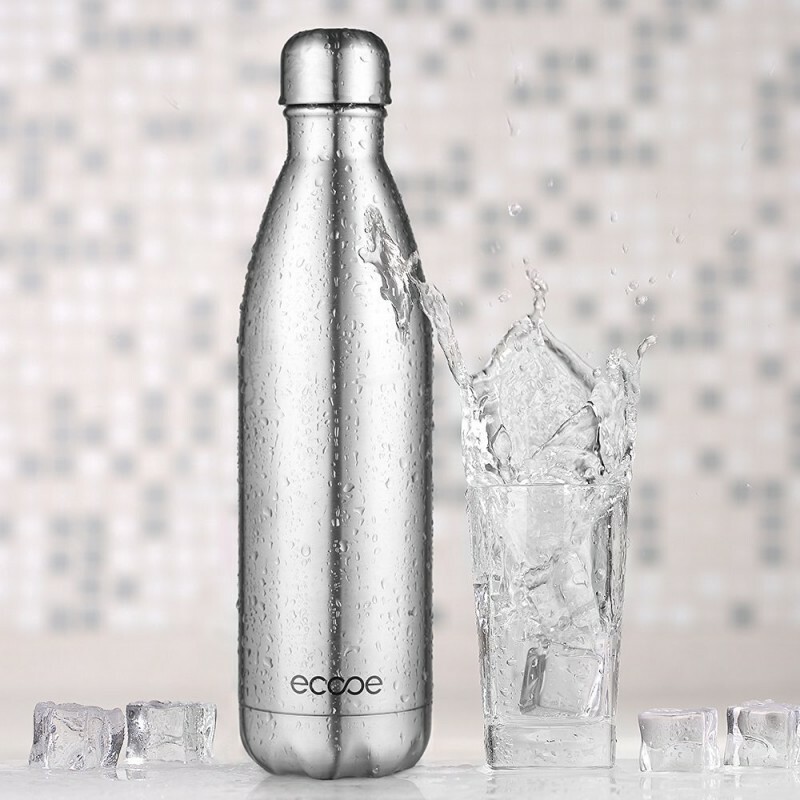 Of course, the need to stay hydrated in the heat has won and the Ecooe thermos has been helping quite a bit. I am most impressed that it holds 750 ml and that's an encouragement for me to drink more than a regular bottle of water. 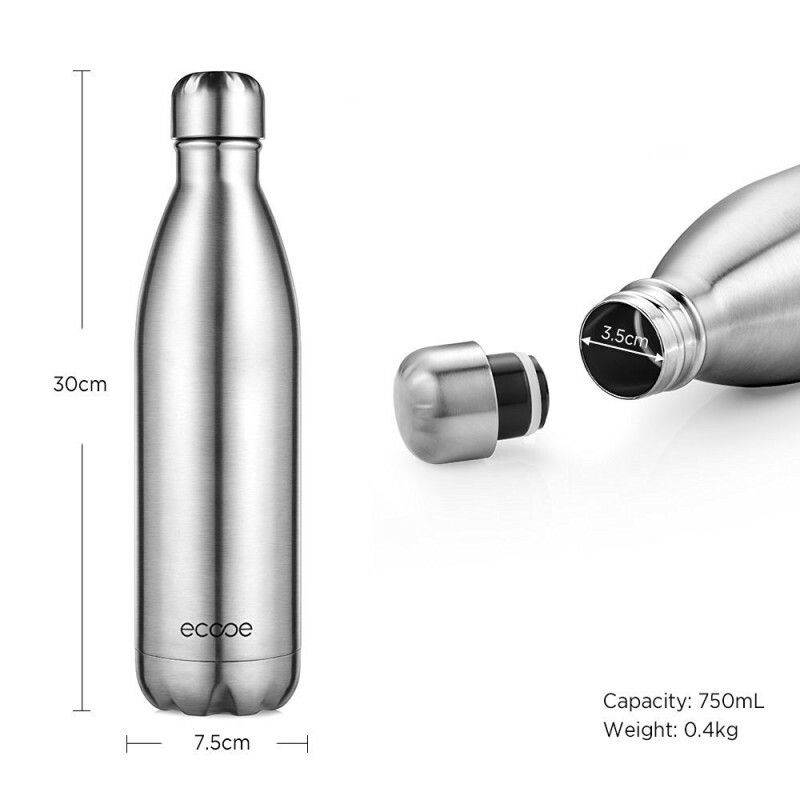 Additionally, it is built from stainless steel internally and keeps my water cold for hours...the cap is insulated which helps to make it leak proof. It helps too that the design is pretty neat and has a classical look to it. While I've so far only tried it with cold beverage, I look forward to trying it with hot beverage in time to come...it works well so far. I received this product at a discounted price in exchange for this, my honest and unbiased review. I was so happy to receive my thermos. I love it and it keeps my water cold. I mostly drink cold drinks, so I cannot attest to how well it keeps hot drink hot. My cold drinks stay cold, with ice, even in this heat wave we are having. Nothing better then taking an ice cold drink hours after leaving the house. I enjoy water, but environmentally I cannot buy all those disposable plastic bottles, so this is a much better alternative. The only down side was not being able to dishwasher and submerge in water. I have been known on an occasion to leave something in the sink and forget about it as I'm tending to my kiddos, so it is just something I'll have to pay better attention to. I would have given this 5 stars if I could put it in the dishwasher. I did receive this product at a discounted rate in exchange for a honest review. I review the product as if I paid full price because I know how valuable reviews can be in making purchase decisions. There Was Still Ice In my Bottle More Than 24 Hours Later...On a Hot Day!!! I drink a lot of water and am a big fan of stainless steel, double chambered water bottles, so I can have cold water anywhere I go. I own a few different sizes and brands of these kinds of bottles and there are two things that really set this Ecooe Theermos Vacuum Insulated bottle apart from the others. The first thing is the size. This bottle holds about 25 ounces of water! I love that it is a nice middle-of-the-road size. I feel like my 32 ounce bottles are too big and my 18 ounce bottles are too small, so this is perfect at 25 ounces! The second thing that I noticed is that it keeps my drinks colder even longer than all of the other bottles that I love for that reason. For example, I put some water and a few ice cubes (for good measure) into this Ecooe bottle before heading out for 18 holes of golf on a 90 degree day. The water in the bottle stayed cold...but here is the amazing part...I forgot to take the bottle out of my car when I got home, and when I took the bottle out the next day (more than 24 hours after filling the bottle), there was still ice inside!!!! It had kept ice frozen on a super hot day in the sun and also in my hot car!!! The quality of this bottle is great. The bottle itself is super sturdy and looks/feels well made. The cap has an "o" ring that helps keep the water from leaking out and also helps keep it insulated. I tested the leak-proof quality of the bottle by tipping it upside down, shaking it and rolling it around. Nothing leaked out :) I love this bottle and would definitely recommend it to others. I am a product tester/reviewer and received this bottle at a discounted price in exchange for testing it out and providing my honest feedback. Great for on the go!! I ordered this thermos so I can take hot or cold drinks with me when I'm taking my boyfriend to college. Some days he has short classes and it's just less hassle to sit and wait the hour or two and read than to drive there for a second time to pick him up. I tested it with both Hot and Cold drinks.. It did keep the coffee hot for over 4 hours.. I didn't test longer because I was out of coffee.... Then I put a little bit of ice and iced tea in and took it outside for a marathon late summer batch of planting.. 6 hours in when I ran out of tea, there were still ice cubes in it! I'll be making this my permanent on the go drink item! Disclaimer. I Received This at a Discount or Free for my Honest Review. I give 100% honest reviews, and am open to answering any questions that come up. I depend on reviews as much as YOU do, so if there are downsides, I'm going to list them.